· The first thing that you must consider is must be your money which will you use in buying the furniture. 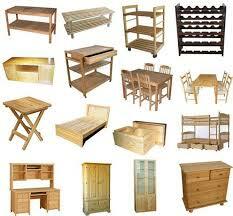 By doing the price and quality research, you can determine how much budget of furniture buying you can have. You have to make sure that you won’t exceed the budget prepared. A tip that you can do if you want to buy the furniture with credit card is that you must calculate the expense of credit card monthly bill wisely if you use the credit card. Meanwhile, if you want to buy it by cash, you can just keep the budget in your savings. · You have to make sure that you have already checked the house and rooms condition. While buying, you must check the furniture’s size. Make sure that the size won’t be a big problem for the door size, the aisle, or even the room. · Make sure that the furniture shop provides the delivery service for the bought furniture. Ask the shop owner whether you need to add some more money for delivery service or not. If they have the service, then it will be very good for you since you don’t need to think about the delivery way to your house. · Ask the furniture shop if they have the guarantee for the furniture that you will buy. If there’s any guarantee, then you don’t have to worry if you find something not functioned properly in a period of time. You also need to ask about how to claim the guarantee if you find the damage of the furniture. · The main tip in buying things, not only furniture is that you have to buy something because of the need, not because of the desire. You need to make sure that you already discussed to the whole of family member that the furniture that you buy will be functioned properly.